Among hundreds of potato varieties, many fall within the red or white categories. While similar in several ways, both potato types differ slightly in key areas including appearance, texture, flavor and best uses. 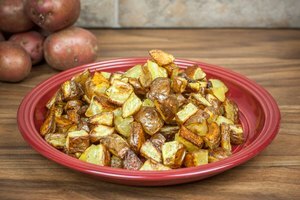 Red potatoes add a brilliant splash of color and lend a firmer texture to potato salads, while white potatoes can stand up to the rigors of frying and grilling better and produce a richer, creamier mashed potato. 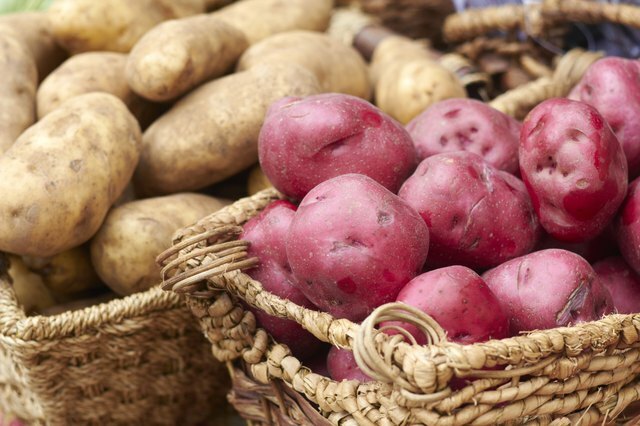 Red potatoes are typically round, small to medium in size, and covered with a smooth, thin red skin. White potatoes range from small to large in size, with shapes from round to oblong and white or tan exteriors. Reds possess a waxy, yet creamy, texture. Whites are on the starchy side, with a slightly dense but still creamy texture. 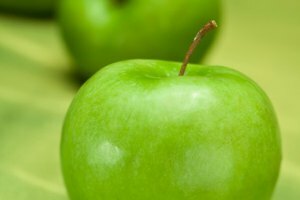 While both reds and whites have mild, subtly sweet flavors, their differing textures makes each ideal for specific uses. 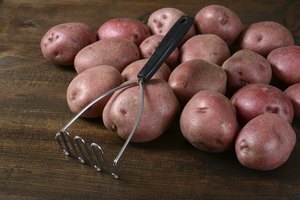 The firm texture of cooked red potatoes makes them a tasty addition to salads, soups and side dishes. 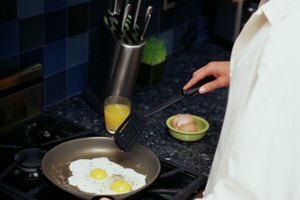 Whites hold their shape well when cooked and tend to better handle frying and grilling. While both reds and whites can be mashed, whites produce a velvety mashed potato that the red cannot quite achieve due to its waxy qualities.